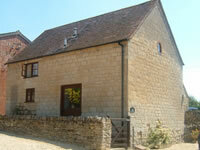 Stable Cottage is a delightful Cotswold stone stable/barn conversion, which was converted 12 years ago. It has been specifically designed with self-catering holidays in mind, with an open plan kitchen, dining area and lounge downstairs complete with gas-fired woodburning stove and full gas central heating. The Cottage has exposed wooden beams and is tastefully decorated. There are 2 bedrooms and a bathroom upstairs, sleeping 4/5 comfortably. One contains a double bed, the other a double bed and single bed. All linen and towels are provided. 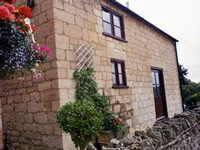 The cottage has its own large self-contained garden with table and chairs. Stable Cottage provides an excellent base for touring the Cotswolds, Malverns, Cheltenham Spa, Worcester and Stratford-upon-Avon. There are many picturesque walks on and around Bredon Hill. It is a great place to come and relax and unwind.